(Newser) – A startling trend has developed in the rates of skin cancer across much of the developed world. Per the Guardian, melanoma-related deaths of men have spiked in many of the countries examined as part of a study presented at the 2018 NCRI Cancer Conference in Glasgow on Sunday. The research showed that rates of death in men from the aggressive, UV radiation-related skin cancer are on the rise as those in women have leveled off or decreased in most countries observed, per CNN. 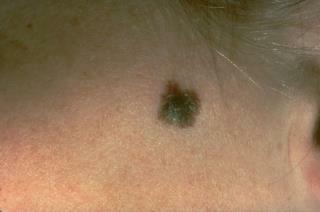 You can get skin cancer regardless of skin color ...........Men can also get Breast cancer . Please get the word out . They wanna look more darker skinned? Why? Tanning beds and perma-tan Mike Pence is a poster boy for that!